The legendary local company is now owned by the British company Finlays. A glass display case hangs near the receptionist’s desk inside the former Autocrat in Lincoln, now renamed Finlay Extracts and Ingredients USA. Rows of Autocrat artifacts are lined up on three shelves, the oldest ones from when the business was first founded as Brownell and Field Company in 1895. There are tin boxes that once held tea and coffee and old-fashioned glass bottles of coffee syrup, including Eclipse, which Autocrat acquired in 1991. Above the exhibit, a large flat-screen TV rotates images and infographics featuring tea leaves and green coffee beans along with background information about Finlays. It’s a mix of historic relics mingling with new technology that tell the story of how the traditional company evolved from the early twentieth century and into the future. Autocrat had been family owned and operated for four generations from 1895 up until 2014, when co-owners Richard M. Field Jr. and his sister, Cynthia Field Wall, sold it to the British company, James Finlay Limited. In July of this year, Autocrat changed its name to Finlays, though retail products, including Autocrat coffee and coffee syrup, still maintain the same Autocrat branding. The stone-carved Autocrat sign that once greeted drivers from the road on Blackstone Valley Place has been replaced by a clean and modern Finlays logo with dangling tea leaves. Besides the name switch, it’s business as usual at Finlays. “It’s a legal requirement when you bring two entities together and secondly, it’s more representative of what the company currently does — we make extracts and ingredients,” says Finlays Chief Operating Officer Steve Olyha, who has been with Autocrat since 2012 and became COO in April 2013, before Finlays bought Autocrat. He has more than twenty-five years of experience, beginning at General Foods Corporation in the Maxwell House Division, and more recently as CEO of REV2Networks software company. “There are two main portions of the portfolio: one is coffee extracts and one is tea extracts,” he says. Inside Olyha’s office, he’s attempting to play a video on his computer from Channel 10’s website that appeared on the news over the weekend. Warwick Ice Cream partnered with Autocrat (now Finlays) to create coffee milk ice cream using its coffee extract. It’s a marriage, coined “a Rhode Island Love Story,” between two Rhode Island companies that’s available in pints at Dave’s Marketplace, another local powerhouse. Warwick Ice Cream also creates a green tea ice cream using Finlays’ tea extracts that’s shipped off to China, where it’s gaining popularity. Two years ago, Narragansett Beer Company teamed up with Autocrat to produce the limited edition Narragansett Autocrat Coffee Milk Stout using coffee extracts, which was so popular they’ve brought it back every season since. The two companies buy extracts and license the Autocrat name to sell their products. You can find Finlays extracts in local items that tout the Autocrat name, but there are many products in the global food and beverage industry that consider the source of their ingredients a secret. In other words, Finlays lets other businesses take the credit for taste. “We consider an extract we create for a customer to be proprietary and we don’t sell it to other customers,” says Olyha. Initially, flavors are tested in Finlays’ state of the art laboratory to find the right variations for prototypes for companies. After approving the prototype, businesses then buy the extracts and create the end products on their own. Coffee and tea extracts are the major part of the business that Finlays hopes to grow globally, starting right here in Rhode Island. Established in 1750, James Finlay originated in Glasgow as a trader and manufacturer of cotton. In the 1880s, the focus switched to tea with crops started in India, and in the 1920s, it expanded its tea business into Africa, where estates and production facilities were developed. As a wholly owned subsidiary of the Swire Group, the company has extensive tea and horticultural interests in Kenya, South Africa, Sri Lanka and Argentina, including global trading, packaging and extraction. Finlays is the largest trader of fair trade tea in the world and the largest roaster of coffee in the United Kingdom. Its primary markets are in the United Kingdom, the United States, Asia and continental Europe. As Finlays hoped to expand in the extracts and ingredients industry, it acquired Autocrat, which already had more than 100 years of experience, making Finlays a leader in the coffee extracts world. Finlays currently employs eighty-five people in Lincoln and twenty-four in Florham Park, New Jersey, which handles mostly sales and research and development, but it employs 39,000 worldwide, including the tea estates in Kenya and Sri Lanka and on flower farms in Kenya and South Africa. There are big investments being made regarding the future of the company, including more than $1 million spent in the United States on research and development. “That includes the lab, the Nielsen data in consumer research we buy and this research center,” says Olyha. It turns out coffee syrup is a very small part of the business, but it played a major role in the development of extracts, which the company is using to reinvent itself and blast into the future. Richard M. Field Jr. stands in line inside the Starbucks in Seekonk ready to order. Behind the counter are fancy coffee machines, bottles of flavored syrups and a menu board shouting Frappuccino in its dozen variations: caramel, java chip and cinnamon roll. Despite the sweetened coffee concoctions offered, Field orders a grande iced coffee with Splenda and cream. While he waits, he runs his hands through his wavy sun-bleached hair and then picks up a bag of Colombian coffee beans. He examines the packaging, holds it up to his nose and inhales the aroma. It’s almost as if he longs for the scent, like it’s a part of him as much as his blood and his bones. These days, retired Field cruises around Southern New England waters with his wife, lawyer Karen Pelczarski, and enjoys the winter down at their second home in Jupiter, Florida. He also serves on the board of directors for both Roger Williams University and North Kingstown-based Java Skincare (which uses coffee beans as an ingredient in body products). But until recently, the Barrington resident was the CEO and co-owner of Autocrat Coffee and Extracts, now Finlays. The company may be best known for its famous coffee syrup and Field, for leading the campaign to make coffee milk Rhode Island’s official state drink, but little do many locals know that Autocrat also played a role in the growth of the Starbucks Frappuccino. It was this icy sweetened coffee beverage that spread the frozen cappuccino craze across the nation. Coffee milk is a Rhode Islander’s rite of passage. It’s been a part of the local lexicon since it was invented back in the 1920s and ’30s, first appearing at diners and drugstore soda fountains, then adapted for packaged retail sales with bottled coffee syrup created by companies Silmo, Eclipse and Autocrat. 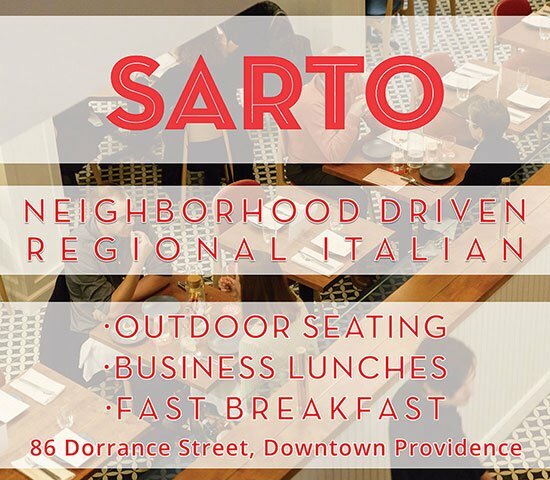 In fact, its origins may very well come from the old country, when Italian immigrants mixed up sweetened coffee beverages like affogato (espresso and ice cream) for a taste of the homeland. 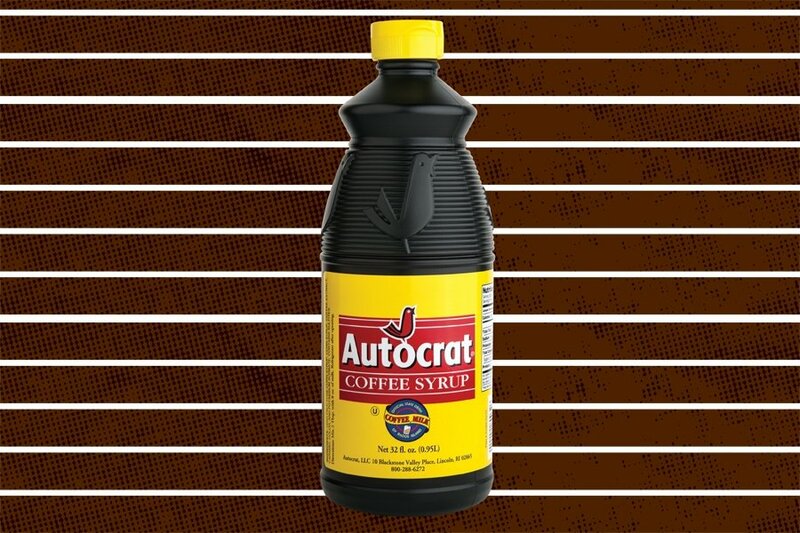 Autocrat may not be the first producer of the famed coffee syrup but, after acquiring Eclipse in 1991, which began making it in the ’30s, it is the oldest producer that still operates today in Rhode Island. While Autocrat and Eclipse are made with corn syrup and different coffee extracts, newcomer Dave’s Coffee also creates a version using pure cane sugar and coffee. Finlays sells enough Autocrat coffee syrup annually to make thirty-one million glasses of coffee milk, the majority of which is consumed by Rhode Islanders. But out-of-staters can also order it in bulk through Little Rhody Foods, which ships it across the nation. While the third Field generation was running the company, Richard M. Field Jr. had graduated from Roger Williams University in 1974 with a degree in marketing. He spent the first few post-grad years working in the ski industry. “My brother and I had nothing to do with the business when we were kids. I had no ambition to work for the company,” says Field, adding that his brother, Edward H. Field, was later bought out in 1994. Field also prompted Autocrat to get in on the office coffee business, providing coffee distribution to workplaces. Now not only were they in hospitals and restaurants, but people were brewing Autocrat coffee right next to the office water cooler. For a company that is best known locally for its coffee syrup, it turns out it was never its most profitable venture. “The volume of syrup sold hasn’t changed much in sixty years,” says Field. Soon Seattle-based Starbucks wanted to enter the New England market. They bought up all twenty-three Coffee Connection locations from Howell in 1994 to the tune of $23 million, according to a 2012 Boston magazine article, “Back to the Grind,” as well as the rights to the Frappuccino name. “Autocrat started making Frappuccino and when Starbucks bought Coffee Connection and started marketing Frappuccino nationally, it was a real boon for Autocrat,” says Field. At first, he says, Starbucks didn’t understand the value of a cold coffee product, but New Englanders truly embraced it. “They started realizing they could make more money with a Frappuccino than a cup of coffee,” Field says. After Starbucks, other major national fast food retailers wanted to jump on the iced cappuccino bandwagon. “It provided a great opportunity for us to provide coffee flavoring to those who wanted to get in the market,” Field says. In the late 1990s, Autocrat reengineered the company to focus on cold coffee, iced cappuccino products and coffee as an ingredient, as in coffee ice cream. A brand new lab focuses on coffee flavorings, and food ingredient scientists and salespeople were hired. They attend trade shows to market the ingredients. Hood and Ben and Jerry’s picked up on it, and Autocrat began promoting coffee-flavored products to other dairies. Now when you scoop coffee-flavored ice cream from a major national brand, odds are it contains coffee extract from Finlays. The future of Finlays’ Lincoln facility is in developing and supplying ingredients. The company’s $1 million investment in the 1,300-square-foot research and development lab features a staff of six, including trained sensory experts. The Solutions Center is certified by the Safe Quality Foods Institute, the Rainforest Alliance, the Fair Trade Federation, the Organic Trade Association, the American Halal Association and OU Kosher. Green coffee beans from all over the world are imported to Finlays, where they are inspected for quality. They are brought to the tasting table for cupping, where coffee taste-testers monitor quality and consistency. To create the extracts, Finlays uses an all-natural extraction process using a custom state-of-the-art extraction system to roast these carefully chosen beans and draw out the best flavors. Employees at the Lincoln and Florham Park, New Jersey, facilities recently held a book drive to build a library for students living on the Kenyan estate. More than 600 books were collected and sent to Kenya. Locally, Finlays is working with Johnson and Wales University to provide food science internships and experience for students. Before it came time for Field and Field Wall to sell Autocrat, they sold off the food service division to focus strictly on ingredients. Then they hired a company to help them market it. “We knew most of the players in the United States, but we didn’t know all the players that might be available to us around the world,” says Field. IMPORTANT POINTS IN THE TRANSITION FROM AUTOCRAT TO FINLAYS. 1985 Brownell and Field Company is founded in 1895 as a wholesale food business by Richard M. Field Jr.’s great-grandfather, Frank O. Field. 1907 Based in Providence from the start, the company moves into the Harris Avenue plant. 1914 Eclipse Food Products is founded by Alphonse Fiore of Providence, and starts out making marshmallows in Providence. 1932 Silmo Packing Company begins making coffee syrup in New Bedford. Founded by Louis Silva and Carlos Desouza Morais, the company is a combination of the two founders’ surnames. 1940 Autocrat starts producing coffee syrup. 1950 Autocrat sells the wholesale food division to concentrate on retail tea and coffee. 1970 The corporate name of Brownell and Field is changed to Autocrat, the coffee’s brand name. 1986Autocrat opens its new corporate headquarters in Lincoln at Blackstone Valley Place, relocating from Harris Avenue in Providence. 1990 Borthwicks purchases Globe Extracts, including Eclipse. 1991 After the two companies competed for years, Autocrat buys Eclipse’s name and formula from Globe Extracts, and continues to produce it as a separate product without changing the secret formula. 1992 Coffee Connection works with Autocrat to create the Frappuccino. 1993 Coffee milk is declared the official state drink of Rhode Island after a battle with Del’s Lemonade. 1994 Starbucks buys all twenty-three Coffee Connection locations and rights to the Frappuccino name for $23 million. 2003 Autocrat expands into the Highland Industrial Park on the Woonsocket- Cumberland town line with a 36,000- square-foot distribution center in order to provide more space for the food ingredient and extract division of the business. 2010 Autocrat receives the 2010 innovation award for worker training from the Governor’s Workforce Board. The training prepares workers for an ongoing expansion of the company’s business after Autocrat acquires a major new client, a global food-service retailer that will use Autocrat coffee extracts. 2011 Autocrat enters into a partnership with an investment group led by Trent Capital Partners and Argosy Private Equity to accelerate its growth. 2012 Autocrat sells its 2011 food service division to New England Coffee to focus on supplying coffee, tea and botanical extracts to the food and beverage industry. 2012 Autocrat opens a 2012 $1 million pilot plant and research and development facility. The lab allows the company to create products with multiple flavoring and ingredient options. 2013 Autocrat and Narragansett Beer team up to create the limited edition Narragansett Autocrat Coffee Milk Stout made with dark roast Autocrat coffee extract. The beer sells out across New England within days of hitting the shelves. 2014 April 28: James Finlay Limited, based in London, acquires Autocrat for an undisclosed price. 2014 Narragansett Beer brings back the limited-edition Narragansett Autocrat Coffee Milk Stout, expanding with multiple production runs. 2015 July 27: Autocrat announces its corporate name change to Finlay Extracts and Ingredients USA (Finlays), though retail products are still branded Autocrat. 2015 July: Warwick Ice Cream launches Autocrat Coffee Milk ice cream.